College life already seems like a lifetime ago. Johnny and I were young newlyweds with no non-school-related cares in the world. And we were poor. Upon getting married, we were on our own financially. We did receive some help in the form of a car Johnny’s grandpa lent us. And our cell phones were paid for by Johnny’s family. But that left us fending for ourselves with all other costs: food, shelter, schooling, etc. So we got loans (well, I already had loans). But we got more loans. But our loans didn’t come close to covering everything. And so we got creative. How do you make ends meet when your full-time job is school? Well, let me tell ya. While we were full-time students, Johnny and I worked at minimum 20 hours a week. For three years I was a server in an on-campus restaurant. And then my senior year I was a secretary in the chemistry department, which was a pretty easy gig. Johnny was a teacher for the IT department, where he taught fellow students and teachers how to use computer programs. His students were usually a good 30 years his senior. Tough crowd (not really, once they figured out the mouse). During the summer when we weren’t in school, we worked full time. One summer we were servers together. Another summer we both worked separate on-campus jobs with unfortunate dress codes. Johnny was a teacher and had to wear a tie. I was a personal assistant and required to wear nylons. And then my boss tasked me with watering everyone’s desk plants, and I over-watered and killed them all (the plants, that is). And I knew it was time to say goodbye to that job. The point is, we worked, always. We didn’t make a lot… our combined earnings one year was $10,000. But work we did. It pained me to buy used textbooks. I wanted the crisp, never-written-in, new-book-smell textbooks for my own. But buying used saved us $1000’s. Our school offered highly discounted used texts, and sometimes we just bought and sold directly with other students. We also sold our books once we were finished with them. The only ones I kept were my Spanish books. Because I’m gonna be fluent in Spanish some day. And because our university wouldn’t buy them back. Ridiculoso. One perk of working in a restaurant on campus is that I got a discount at the school cafeteria. Every day I got one meal 50% off. Johnny and I used this discount very strategically and usually only spent $2 or $3 for a meal for both of us. Unfortunately, this also meant we ate a lot of Taco Bell, Subway, and Scoreboard Grill, the cafeteria’s cleverly-named burger joint. We never claimed to be the healthiest, only the cheapest. For two years straight, we took our laundry to Johnny’s parents’ house every Sunday. They lived about 25 minutes away, and Johnny’s mom also fed us Sunday dinner. AND we played nerdy board games with Johnny’s younger siblings (which got very competitive at times *cough*Johnny*cough*). It was the perfect weekly getaway from college life. For a few hours we were surrounded by family, good food, and free laundry. College students with family nearby, do this! I command you. IKEA: We bought the cheapest bed, couch, coffee table, kitchen chairs, and office desk that IKEA had to offer. Our apartment was plain, but it served us well. Taco Tuesday: Every Tuesday night Johnny would longboard to Del Taco (pretty much the off-brand version of Taco Bell), and he’d buy us half-off tacos. I think we’d spend about $3.50 on dinner for the two of us. Blockbuster: Yes, when this company was still alive and well, we used its subscription service and had endless entertainment in the form of Jack Bauer and LOST. It was cheaper than a movie theater, that’s for sure. And then Netflix came along, and those series ended (but apparently 24 is coming back, did ya hear?). Little Caesar’s Hot-N-Ready. Enough said. Remember, I never said we were the healthiest college students. Goodwill: We thrifted at least once a week. You already know it’s a favorite past-time of Johnny’s, but hobbies aside, it really did cut down on our clothing costs a lot as newlyweds… it meant only one of us needed to buy new clothes (guess who!) ;). So that’s how we did it. And we still ended up with $20,000 in school loans. And that was with Pell Grants and living cheaply AND trying to only take out loans when absolutely necessary. But we survived college expenses. 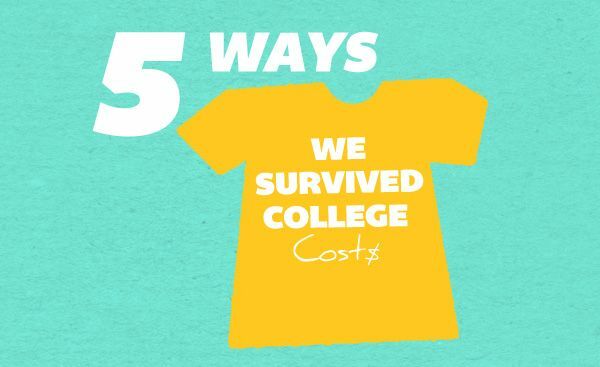 Why isn’t anyone making shirts that say “I survived my college costs [year of graduation].” Did I just have a brilliant idea? Oh, just a rip-off of the other “I survived” shirts out there? Dangit. Stupid, stupid Joanna. Crazily enough, many of our college habits have still survived even four years post-college, such as our love of Wendy’s dollar menu. And IKEA. And Little Caesar’s… this is shameful. I’ve over-shared. 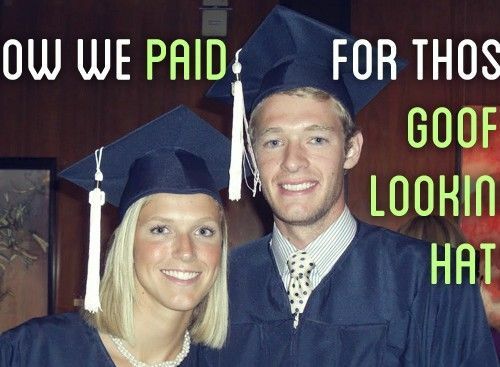 Now it’s your turn… how did you survive your college costs? I worked. A LOT. 20 hours of classes, 20 hours at my various jobs (sometimes more) and time on assignments and essays in the evenings. Ate a lot of $2 Korean pancakes/$6 fried rice, tried to buy used books and only the books that were absolutely necessary (not the ones with copies in the library!) Didn’t go out drinking. I feel like I’m more busy now than I was in school, but our school schedule mirrors yours. And thinking back on it, it WAS crazy. I don’t know if we just handled it better then or if time has thrown rose-tinted glasses on my memory of those years. Also, your Korean pancakes sound wayy better than our Taco Tuesdays. I´m still a student, and BF graduated a year ago, but what we often did, and still do, is visit his family about once a month. They live only an hour away, so staying there for a weekend saved us loads and we got to see some other scenery than the big city. We also went/go on big shopping trips to Sweden to shop groceries, as they´re a lot cheaper over there. I forgot how nice it felt to get away from campus and our college town. For a moment, we could leave all of our studies and college worries behind. That was definitely a big reason for visiting family. And the free laundry and food didn’t hurt, I guess. We both had to work a lot. We both worked full-time and took any extra over-time hours that we could. And I still had student loans also! Our school was stingy about overtime and wouldn’t let you take on extra shifts if you had already met your 40 hours/week. In all of my hourly wage jobs, I never did earn overtime. I work overtime now — I just don’t get paid for it. I worked in a doughnut shop in college once a week. I also did a lot of business school “games” that paid phat cash (like $50-$600 a pop) and would supliment that with some other $10-$20/hr studies. Between that and eating free hot dogs at the bar I was set most weeks. Oh and there was a super awesome Indian buffet on campus that was like $7 for all you can eat. Shoot, an Indian buffet? That’s a pretty eclectic on-campus option. A Subway was about as exciting as it got on our campus. I’m glad the paid studies were from the business school and not the psychology/med/biology departments. Granted, I probably would have signed up for just about any study back then so long it didn’t require disrobing or being electroshocked. Mad scholarships. Like the sign away your first born kind. And I worked as an RA, which paid for food and housing. And I worked every summer, with two summers scoring good salaried internships. It meant I had some awesome experiences (lots of travel) but not too much in loans at the end of the day. (Actually, less in loans the day I graduated than money in the bank.). But I didn’t actually pay it off… Silly deferrals ended up kicking me in the end a bit. For all the terrible things I did to my RA, I’m sorry. I don’t know if you have the ability of serving as proxy for all RAs out there, but I’m sure a few other readers would probably like to apologize as well. That’s a tough gig. Deferrals are definitely students’ best/worst frenemy. It’s great you were responsible enough to understand trying to live within a budget/cheaply during college! Most college students and even post college students of our generation do not understand this concept. My husband and I were high school sweethearts so we knew during college we wanted to get married eventually so we kept this in mind! We both lived in cheap houses on campus. I lucked out as my best friends uncle owned a house so I got an awesome house and landlord and my own room at the price my husband paid for a crappy house where he lived in basement or shared a room with 1-2 guys! I took 20-23 Credit hours per quarter because once you paid full time hours (12) everything was “free”! I worked 30 hours a week at the finance office at my university (max allowed during classes) and 40 hrs during breaks/summer. I regret this a little because I didn’t get to enjoy the social part of university but I’d rather have less debt. We did not drink do saved a lot of money there. We were part of some campus groups so there was often a free event. We hung out at each others places and made dinner. I couponed when it definentely wasn’t cool…hello free cereal yogurt and toiletries! Who’s laughing now. My husband survived on captain crunch, pb&j, rice with canned mixed veggies mixed in and super thin cut pork chops. I ate more healthfully but mostly vegetarian. During football season my husband and his housemates would sell their parking spots and use all that money to pay for fall cable and all their bills for the year. We would order a buckeye pizza on Saturday(2ft long I think?) and have lunch and dinner for 3-4 days each at $19 total. We occasionally went to the Ice rink in winter $3 and the $1 theatre when it was actually still $1. Once a year we went to a nice dinner ($15ish per person). My husband didnt have too many jobs during school bc he was an engineer major but he was fortunate his last quarter to get a well paid internship. I took out as little loans as possible. The husband had some Debt due to not working as much. 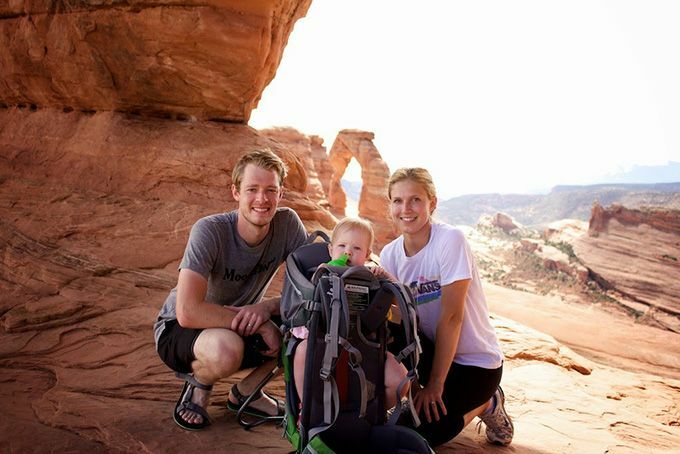 Like you, I think getting married (or at least thinking about marriage) young actually helped us stay frugal. We were far less self-absorbed and I didn’t have to care nearly as much about how I looked. Kidding, sorta. 20-23 hours! You were an animal! That’s amazing. And I love your inventive ways of saving up, especially charging people for parking. That’s awesome. Forgot to add didnt go on any spring break trips etc! Our school strategically held classes straight through Spring Break, so we didn’t really have much of a choice about making bad decisions. Oh the good old days of college… Our school provided free laundry (although that’s probably part of why I paid 40,000 a year to go there sadly), so that helped. I bought a lot of store-brand items instead of name-brand and that helped a lot with groceries. I rented my textbooks from Chegg.com and that was a huge money saver, too! Oh and I worked on-campus as well 1-2 nights a week for some extra cash. I wish I had started blogging in college though- it’s helped bring it a nice small side income! Textbook rentals? That’s awesome. I don’t think that site was up while we were at school, but I would have totally looked into that. And blogging would have been a much better use of my free-time than half… okay 90% of the things I did instead. My husband and I both managed to get through with athletic scholarships. But it was hard! If you didn’t know any athletes in school there is a reason. It was like holding down a full time job. I had to work my way up in our athletic program until I earned a full ride my senior year. My husband played football and was fortunate to get everything payed for and earn a nice stipend. We were able to save some of this money and start out with a little bit when we got married. That’s a really good point! I met a few athletes the first couple weeks of freshman year — and then they disappeared. I have a ton of respect for student-athletes. Especially players who earn their scholarships as walk-ins, like yourself. Congrats on putting in the hard work and helping your finances in the process. I did all these things as well, and still ended up with loans as well. I’ll add that buying used books ONLINE saves a ton of money over used books at the campus bookstore. I was in college back when a lot of people didn’t know about half.com, so this was somewhat abnormal. I’ll also add that selling books online after the semester is over can bring in a pretty significant amount of cash as well. We were also on the half.com train before most, so we took advantage of that. Some students also setup a rogue used book classified system. I’m sure there are a bunch of better services now, but we were fortunate to have just enough to find the deals. Bahahahahahah….I never thought about comparing a purchase to Wendy’s Dollar Items. I’m going to use that on the Husband this week. Love it! He’ll start thinking twice about a lot of things. Trust me. When you guys start that T-shirt business, let me know, I deserve one! For the first 2 years of school, I lived on campus and worked a job on campus and one off-campus…. hello student debt for room and board! I transferred schools mid-way and lived at home the last 2 years. I managed to work an on-campus job, an off-campus job, and did some light babysitting to bring in enough to cover books, gas, and some entertainment. My school gave commuters 1 free meal a day so I ate lunch in the cafe, and when I wasn’t in school, I brought my lunch to work. I ate at home as much as I could during the week and shared dining & entertainment expenses with my boyfriend. My mom very nicely paid my cell phone and car insurance and loaned me the money to buy my car from my grandmother, which I paid her $100 every month to pay back. In the summer, I worked full time at a local insurance company (my part-time off campus job) as well as every break that I had during the year. The good thing about this was I was able to cram all of my homework and working in during the week so that my weekends were mine. Unfortunately, although the government thought otherwise, my parents couldn’t contribute financially to my college tuition expenses, and I left school with $67K in student loan debt. I’m chipping away at it slowly, but I now know to put as much away as I can for my future kids so that they don’t have to deal with the same monster as I am. It sounds like you hustled your way through school. Which is why I’m sure it was all the more frustrating to leave school with that amount of debt. When Joanna and I were single, we also didn’t “qualify” for grants/subsidized loans because the government said our parents made too much. That’s all fine and well — if your parents are paying your way. But if they’re not, that’s a pretty lousy system. Once we got married, our income was so so low that we qualified for just about every grant/loan we applied for. It’s a dumb system. My husband and I got married 9 months ago and we are still working on our undergraduate degrees. We are surviving college by working as much as we can during the school year and breaks and I always scour the ads that come in the mail for the grocery stores in order to get the best deals. (This means that some weeks I will go to 5 grocery stores). I also use an app called SnipSnap that has TONS of great e-coupons that work at lots of different stores. For example, I got a pair of shoes from H&M for $0.39 with coupons and last week I got $10 of groceries at Smith’s (where every BYU student shops 😉 for $1.00 thanks to coupons. We also try to combine our trips for errands (do laundry, grocery shopping and thrifting all in the same trip). I’ll have to check out that app. I’ve been trying out a few different e-coupon apps, so I’ll give that one a whirl, too. Good ol’ Smith’s. We left right around the corner from Macy’s, so that was our grocery dump of choice. Go Cougs! Timely topic – I’m heading to my five year college reunion tomorrow! I was lucky enough to not have to work during the school year, but I worked A LOT during the summers (60-80 hour weeks) and built back up my cash reserves then. I’ve actually gotten better with budgeting since then — I think I pretty much just spent what I had back then with no grander plan. Chalk it up to experience! That’s a whole lotta summer hours. I think if I had had a choice (which I probably did, I just didn’t take it), I would have done this method. It was really tough balancing schoolwork and a job during the school year. Have fun mixing and mingling with your alumni! I lived cheaply in college too. My school hosted so many events with free food and I took advantage of that all the time. Plus I had roommates that liked to cook and I eat like a bird so I saved A LOT of money food. Also having roommates meant I didn’t have to purchase much for furniture or we’d just pick up curbed items. Hardly bought textbooks because I worked in the library and got to make copies of the textbooks we had available there If only I had gone to a cheaper school (not a for-profit one) I’d have much more manageable student loan debt! Those are great methods. I’m glad I don’t have to rely on curbed furniture anymore. That’s not to say I still haven’t picked up a piece or two since college, but it’s not a need anymore. It’s a shame that despite all of the cheap tactics one can use in college that most still end up with five figures of debt. You can only imagine what it’d be like if we just let loose. In college I was a spoiled brat. My folks paid for everything and I developed a LOT of bad habits, which was a real problem when I was suddenly completely on my own in grad school! I lived cheaply by almost never eating out, save for the $2 pizza in the hospital cafeteria at work. I worked all the time and made use of the hospital amenities ($12 haircuts for ladies! and not a bad job either) I also intentionally had a very tiny living space so that I wouldn’t be tempted to fill it up with junk. I was just starting to learn that having a beautifully interior-decorated apartment was a huge waste of cash. I still walked out with $16,000 in student loans too! That’s a great perspective, one that no one else has shared. 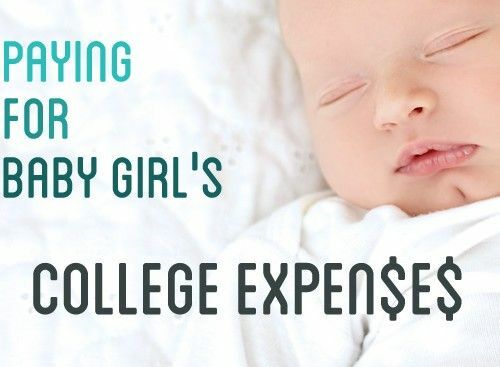 We want to start saving for our kid(s)’ college costs now, but we’ve been torn about how best to approach helping them. We fear what you experienced, so we’ve started outlining ways to make sure that the money covers certain things and certain situations, but it’s not a blank check. It sounds like despite the circumstances, you managed to figure out how to save pretty quickly. Thanks for the comment. I went to one of the cheapest schools in the country (which happened to be 19 miles away from my house). I got an apartment in the ghetto (only had to replace one car window $250) for a whopping $375/mo split 2 ways with my roommate. I worked 3 jobs for a combined 50-60 hours a week but my main job allowed me to do homework and study at it because all I did was run a community center front desk that nobody ever went to. I worked for vendors at a grocery store that allowed me to write off expired meats and cheeses (just tossed em in the freezer) so I always had food. I had a few scholarships that I used up right away, as well as, a couple thousand I saved up during high school. Combined, I came out in 4 years. I worked harder in school than I do now and I make 4 times more. I’d probably do it all again, but I did miss a lot of fun stuff while I was in college since I was always working. $375/month! Were you living in a storage unit? That’s freaking incredible. I still love the grocery store job perks. That’s so awesome. If there was a part-time position at our grocery store with that same perk, I’d probably work a 20/hr/week graveyard shift. That would save us tons of money. I like your dad’s asterisk. I think that finishing an education is really important, especially if you’ve already invested time and money into starting it. And you figured out an awesome solution with online classes. That’s such a great option to have available now. Definitely! I’m glad he made us promise to finish our degrees. It really really really sucked at times being a full-time college student and full-time employee, but it was definitely worth it in the end. And thank goodness for online classes, because there’s no way we could have done all this without them! I think (and pray) our bodies were young and healthy enough that they’ll forgive us for all the mistreatment. Hahaha. I pity the call center workers after the recession hit. I remember getting hit up for money from my school a month or two after I graduated and before landing a full-time job. Wait until all that money I spent on your school actually proves it was worth it, pals. I’m not sure I “survived”, but I did do some cheap eating. It was tuition that kicked, and is still kicking, my rear. I seriously looked at the 4 exemptions on the FASFA and wanted so badly to lie about being a ward of the state (or find someone to marry me or steal someone’s kid) so I could get grants or subsidized loans but I never had the nerve. What I should have done is find someone to marry me for residency! I’m kidding, sort of. Haha. Your FAFSA exemption strategies all seem pretty sound. We were fortunate to get hooked up after getting married, but maybe we should have just gone the “ward of the state” route. I think you two did really well. I love the junior bacon cheeseburger currency compairison. Let’s see. I had some loans ($15K), parents paid about half my tuition and rent, and very graciously use of a car. My Dad was good at repairing cars and so the ones (yeah there were 3 different ones I used — not all at the same time) I used were always near the end of their life. But one was a convertible mustang, so that was great. First three summers I lifeguarded and taught swimming lessons. Probably averaged 50-60 hours/wk but didn’t notice the hours because it was fun. Made really good money, too. My last two summers I stayed for summer school. I didn’t work my freshman year during the school year but did the remaining years anywhere from 20-30 hours a week. Waitressed, worked in various campus offices, nanny. Waitressing was good money. Being a nanny — while I loved the boys I watched (3-year old and a newborn), dealing with normal issues that come with young children could be taxing on my nerves. At the end of the day, having to then come home to do homework…eeek. That was tough. I worked at a local greasy spoon frequented equally by students and locals. I loved it because I learned more about real people from different walks of life, which is a valuable skill to have after leaving the “college bubble.” Adjusting to a full-time job post-college was actually easier in some ways because I was making nice money and no need to study for exams. A convertible mustang isn’t a shabby clunker. That’s awesome. All of your college jobs actually sound extremely useful and practical for post-college life. And I remember feeling the same relief taking on my first full-time job out of school. It felt great. But now I look back on college and think that life was easy compared to the bills, retirement planning, baby costs, etc. we’re looking at now. I lived very simply and didn’t eat out often. I worked summers to pay for expenses, but my favorite way to earn income as a freshman was by playing Free Cell. I signed up for a “skill gaming” site and apparently I was pretty good because I was able to win head-to-head matchups (both players play the same game, first to finish wins) as well as daily and weekly prizes. Eventually I was moved up to a higher level against better opponents, so I had friends sign up at the lowest level and made money from each one. I made a few hundred on each account and eventually the site went away, but it was great while it lasted! Woahhh! Free Cell?! Seriously?!! That’s the coolest way of earning college cash I’ve ever heard. If you’ve written about that on your blog, I’d love a link. I may have mentioned it, but I will work on a post around the coolest way I’ve ever earned money. I wish I could do that again, I would be way smarter about it and be raking in the cash! I did everything you guys did, with the exception that I lived at home. I chose not to go away to college based on the fact it would have been more expensive. Some part of me regrets that, as I never got the “full” college experience, but my debt would probably have been much worse. So I had access to free meals and laundry, I worked on and off, attended a community college for one year to get basic credits out of the way, and then took 18 credits a semester to graduate early. I ate out with friends sparingly – Applebees half off appetizers was a favorite among us (still is). I also rented my textbooks when possible. I hated the campus bookstore, it was a rip off. Some classes required “custom” textbooks, and at the end of the semester the bookstore somehow decided they weren’t going to let us sell them back because they were “outdated.” No one else would buy them since they were now requiring updated versions, and it felt like such a waste! You were an awesome frugal student. That’s amazing that you had that foresight at that age. We had the same issue with custom textbooks that our school’s teachers wrote/contributed to, which meant that no one outside of our school wanted them. And then come year end, the school would never buy them back. The most hated place on campus was definitely the bookstore. That sounds pretty similar to my college experience. Granted I didn’t have a wife, but I did have to find ways to pay for everything I wanted. I lived on cheap items from the grocery store and dollar menus at the local fast food restaurants. Luckily, my parents paid for half of my tuition and housing, so that helped out a lot. 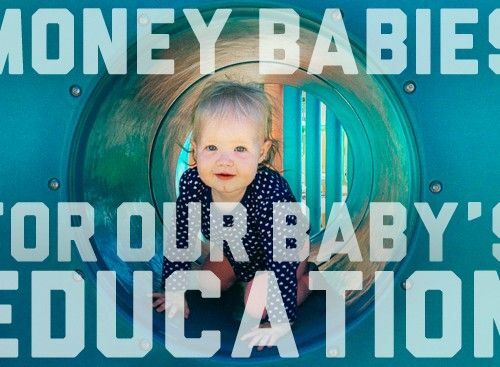 The more we look at options for saving/paying our kid(s)’ way through college, paying only a portion or only the first couple years seems like the best option. I don’t know if you’re helping your kid out much if you don’t give them some financial responsibility through college. I spent most of my college summers working as a counselor for a live-in summer camp. That way my summer living expenses were completely paid for, and I could save the entire stipend (usually around $2K) so I’d have it to fall back on during the school year. I still ended up with about $10K in student loan debt, mostly because the way financial aid at my university worked, they figured out what you & your parents could reasonably afford, then you had to take out the maximum loans that you could qualify for, and then the university made up the difference. So in order to get $8K of “scholarship” per year, I had to take out $2500 in loans each year. As I mentioned to Mrs. PoP above, I apologize for all of the misdeeds me and my dormmates put our RA through our freshman year. Maybe freshman girls aren’t as awful as guys. Actually, I’m sure of it. That’s an awesome way to get room and board though. That’s a really interesting financial aid system. Don’t think I’ve ever heard of that. Alas, we had co-ed dorms, and you couldn’t possibly have been worse than the hockey players I had to contend with my sophomore year. I think the highlight was the night they all got drunk and decided to throw the pop machine through the front window. Well… the guy who took a baseball bat to the pay phone because he was pissed at his girlfriend might have been a close second. Oh the joy! Hahaha. Ok, they win. I was a mild-mannered altar boy compared to your residents. Through a window?! This is so different from the Australian experience! I don’t know anyone that took out university (what we call college) loans. I’m not sure they even exist. In Australia, most students live at home still and just commute to a university that’s close by. Mine was half an hour by train. We still work part time jobs and have to pay for a lot of our own expenses, but we have something called Fee Help, which is a govt run program where we defer paying for our classes until we have full time jobs. Then we pay it off in instalments, interest free! It works out great! Wow. That’s a wild difference. And I love the Fee Help deferral system. That seems like such a no-brainer. Our loan/tuition system over here is such a mess. This is probably dating me as the old retired dude that I now am but here’s my story. Living in Montreal back in my (mis-spent youth – lol), I only had to graduate from high school from grade 11 at age 16 when I then enrolled in 4 years of university, graduating at age 20. Back in those days I was strictly an avid sports jock (an active football and hockey player), never hanging around much with girls (so my so-called “social life” was pretty cheap, not to mention “pitiful” – lol). That said, I lived at home cheaply with my parents, rent/food costs were free, while attending university. I also was fortunate during my entire university period to manage to have a good steady clerical job in the head office of a major department store. There I worked on Saturdays during the 8 month school season and then full time during the 4 summer months, saving as much as possible. With employers visiting our university, looking to hire 4th year graduating students, I eventually was able to graduate debt free with a good full time IT “bucket programming” job waiting for me. So, like you guys (and many of the others who’ve commented), hard work and determination to get ahead led to a successful lifestyle (for me and my wife and, I’m sure, it will be for you guys in your years ahead). By the sounds of it, your money-saving ways were pretty well established from your so called “mis-spent” youth. And based on the fruits of your later years, it seems like this is a pretty good roadmap for future whippersnappers looking to get ahead. Minus the “pitiful” dating scene, which you’re probably exaggerating anyway. It is scary how cheaply you can live and still rack up so much in student loan debt. Used textbooks are definitely the way to go especially with how expensive textbooks can be. In many cases, it’s like paying for a whole extra class. Because of your fastidious attention to keeping your expenses low, you were able to pay the debt down quickly and kick that debt monster out of your life! Great job, and thanks for sharing. It makes you wonder what debt might be accrued for those who don’t attempt to find deals and save. Textbooks = the worst. College… Well, I was fortunate enough that it was paid for by a nice partial scholarship (awarded automatically for getting 6 “A”s in school <|:) ( <— My attempt at a boffin emoticon.) And supplemented by my Grandfather who helped all his 3 grandchildren out (He was a penny-pincher and worrier his whole life). I was also lucky enough to get a small allowance from my parents, and decided to go to the local college (Unlike most of my friends), so I could stay with my parents. That turned out to be the best decision ever – free food, free laundry, clean house to come home to, food cooked usually by my Mom with only dishwashing duties and occasionally cleaning my room. My Dad loaned me a car to use (or I got lifts with friends). I only started paying "Rent" once I started working. I did work to get some extra money for luxuries and to save up for more expensive gadgets. That was as a cashier at a grocery store – very hard work, very dull, but good work experience, and it gave me some leverage for my first "professional" job, in that I could say "Yeah, I worked at xyz for a year, was promoted to "Head Cashier" because I was all responsible and stuff…" So yeah, so many benefits of working while you're studying. Getting work experience in a relevant area of your intended career would be even better. It sounds like you got your grandfather’s penny pinching gene. You rocked college expenses and working your way through school. I’ve secretly always wanted to work as a grocer because I’m super OCD about how my groceries are bagged. But I’m sure it gets old after a week. Kudos to your college self. 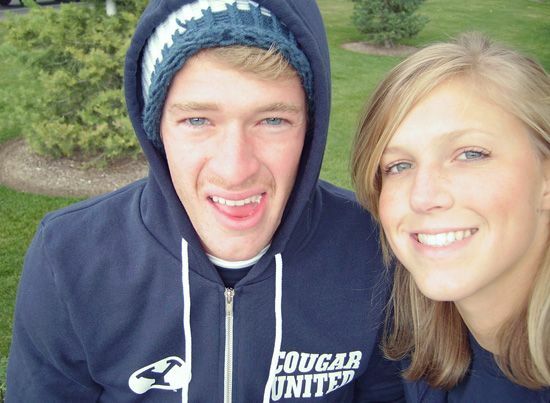 Thanks for finally talking about >How We Lived in College | Our Freaking Budget <Liked it!